At-Ease Home Inspections is the professional inspection you need to be at-ease with your home buying decision. Specializing in comprehensive home inspections for the real estate professional providing reliable prompt service and detailed inspection reports. 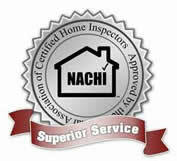 We provide Professional Home Inspection services throughout the greater Central Valley. online as a downloadable file or on a DVD or in a book format, if preferred.